Mad for Mosaics? My latest creation. Once more into the breach my friends, once more! 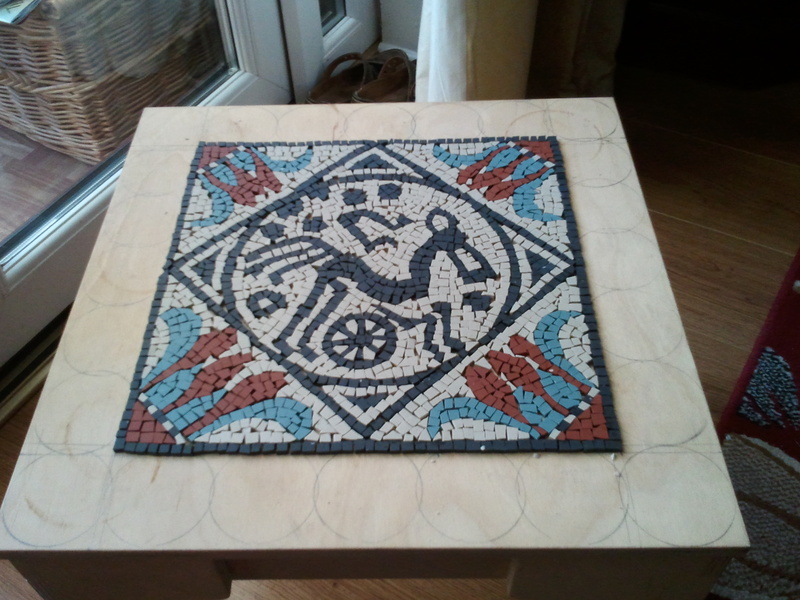 Yes that’s right it has been full steam ahead in the workshop this week and so I present to you another mosaic creation. This design strives to blend native British style with the more obvious classicism of the mosaic. 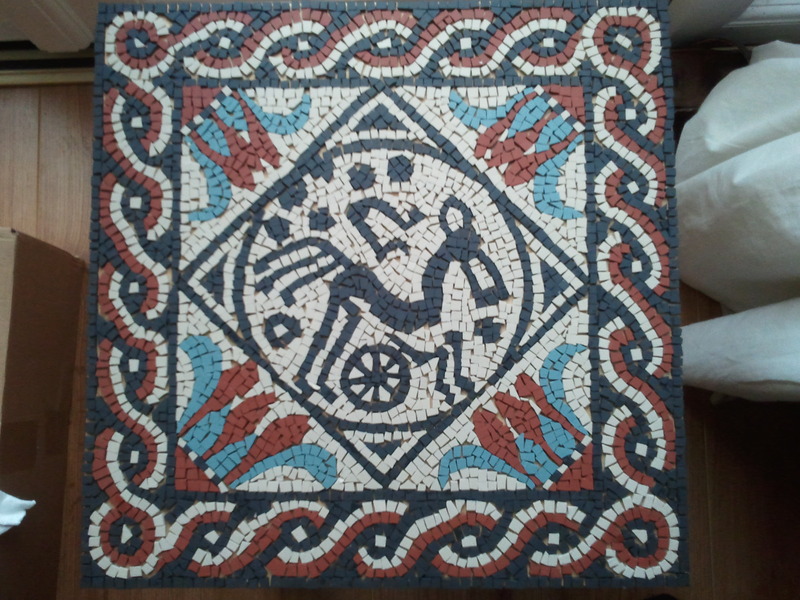 To do this the central panel utilises the somewhat slightly abstracted famous triple tailed horse that appeared on many late Iron Age coins in Britain. 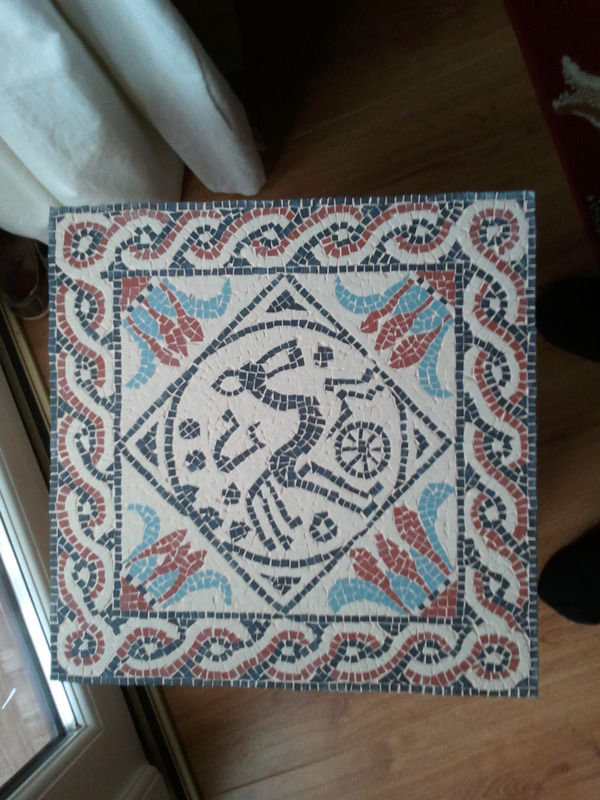 Finally here is the piece finished and grouted. 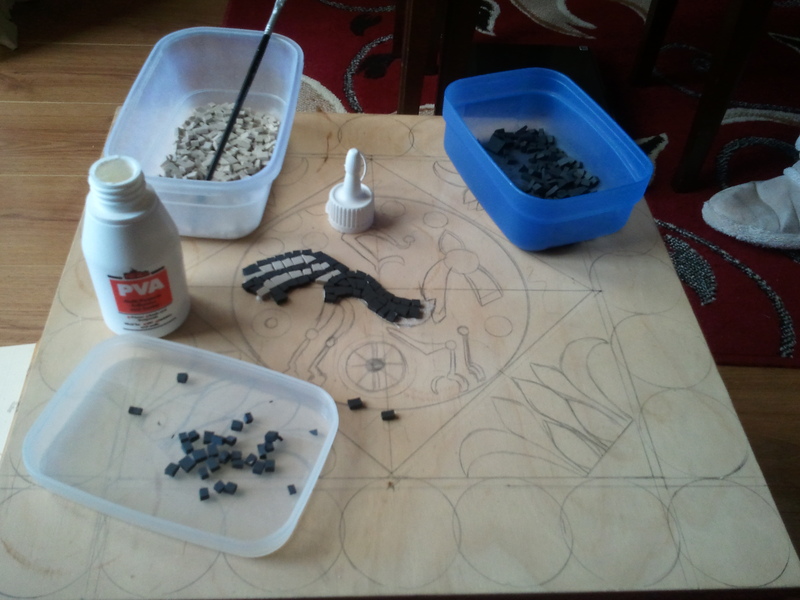 I tend to grout my mosaics in batches as it can be a rather messy process, nevertheless the grout I used was a beige grout. It tends to lighten up the design and really completes it. I just love anything related to art. Many thanks, I’m glad you like them. 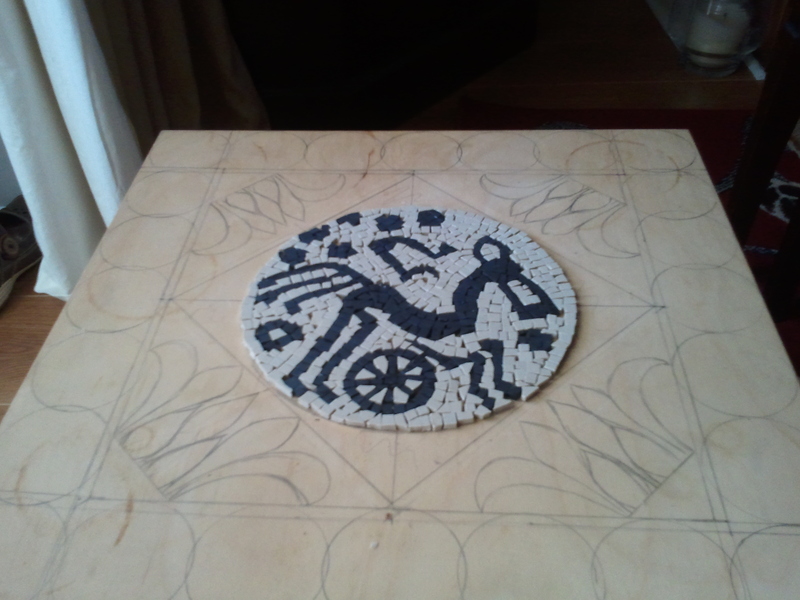 I can’t recommend making mosaics enough, it’s a very enjoyable way to spend a day.